"Hold me close, and hold me fast, the magic spell you cast, this is La Vie en Rose." 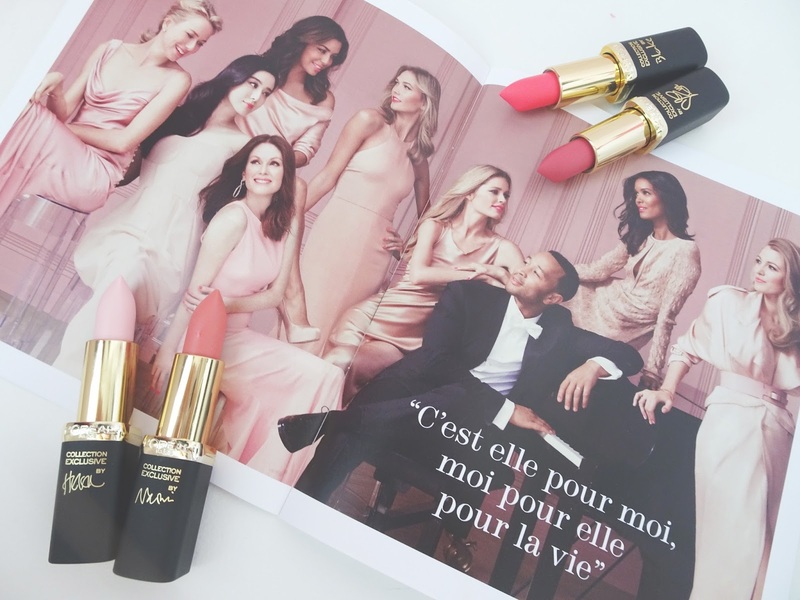 Inspired by the Edith Piaf song, L'oreal "declares its love to women", with it's new Collection Exclusive La Vie en Rose lipstick line. 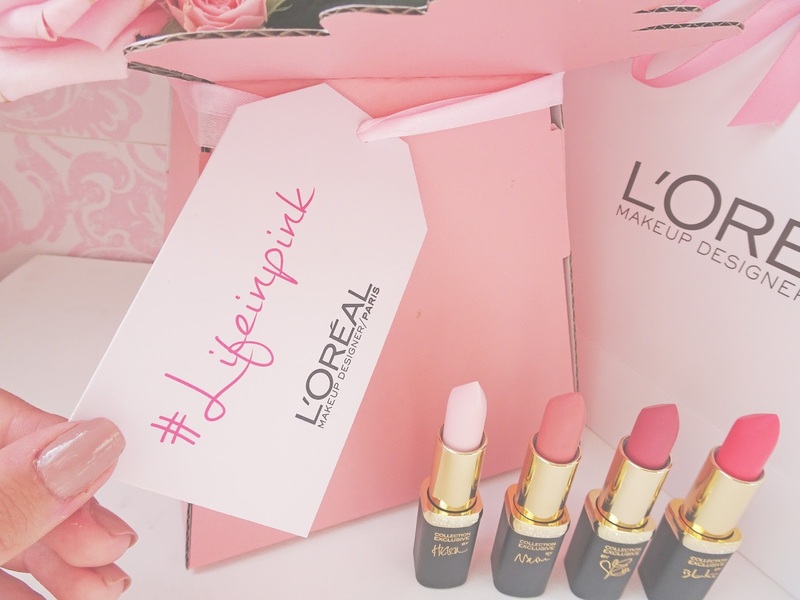 Iconic for encouraging girls and women to feel "worth it", L'oreal's new collection of pink lipsticks is a declaration to love, and inspired by all the feelings that come with it. 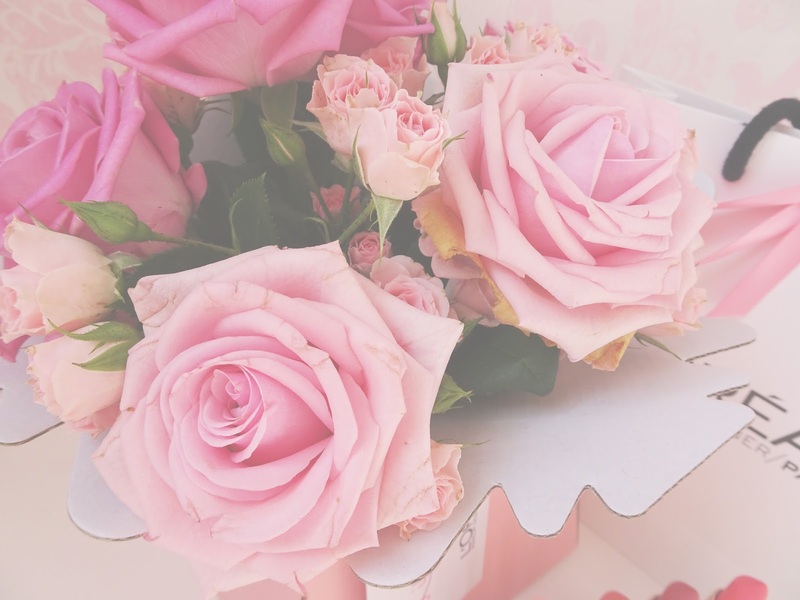 Alluring, pretty, romantic, and playful, are all feelings associated with being in love, as well as being connotations of the colour pink itself. 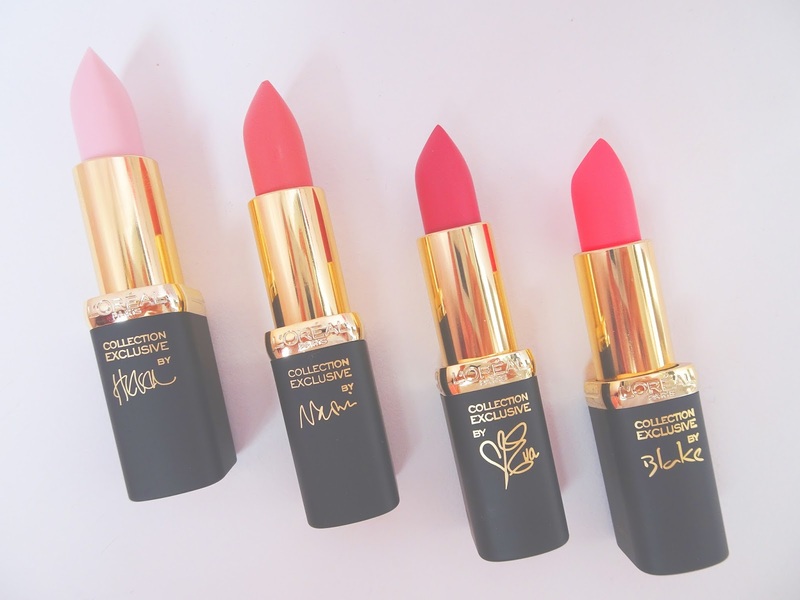 As a hopeless romantic, and a lover of pink, I just adore the whole concept of this collection. The idea that you can put on pink lipstick and feel flirty, fun and full of life, the same way you feel when falling in love. 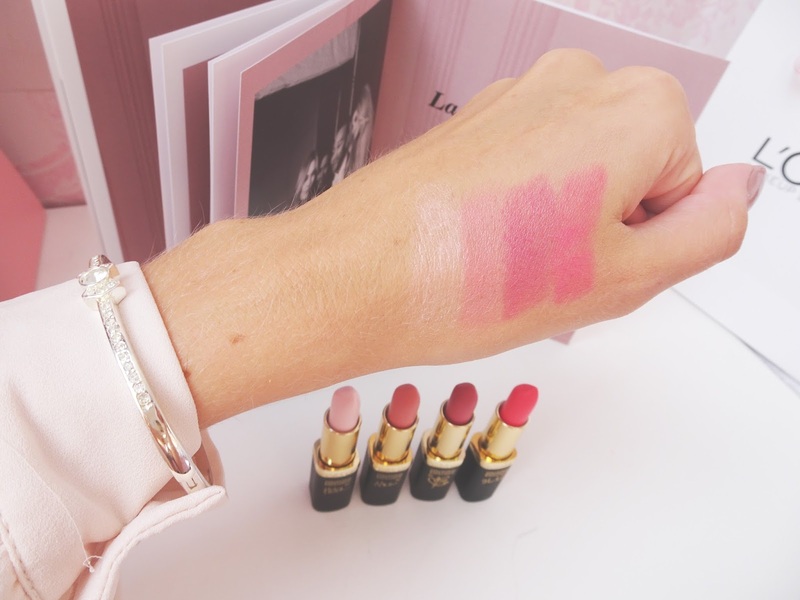 As a big fan of L'oreal makeup, and an even bigger fan of pink (if you hadn't already noticed), you can only imagine my delight at the knowledge of L'oreal releasing a new line of exclusive velvet-matte pink lipsticks. There are five shades, all tailor made to different skin tones. My favourite is "Naomi's Tea Pink", (second from the left), a delicate mauve for fair skin tones. I just love the whole campaign. As always, the campaign is fronted by the beautiful, influential, talented women of today, but this time with a special guest. The incredible John Legend covers the Edith Piaf tune dedicated to love and beauty. His beautiful music, his complete adoration for his wife Chrissy, and his love and respect for women, made him the perfect fit. I'll leave a link to the video at the bottom, it really is beautiful and inspires me so much! The campaign really spoke to me, and for a brand that is famous for celebrating confidence in women, to focus a collection on making a girl feel elegant, sophisticated and beautiful solely with the colour pink, made me so happy and excited. This is so beautiful, absolutely adore the pink hues through the promotional video, it all fits together so perfectly I feel as though I'm in love with the lipsticks themselves. Ah i've seen these in a few shops already and love them!! 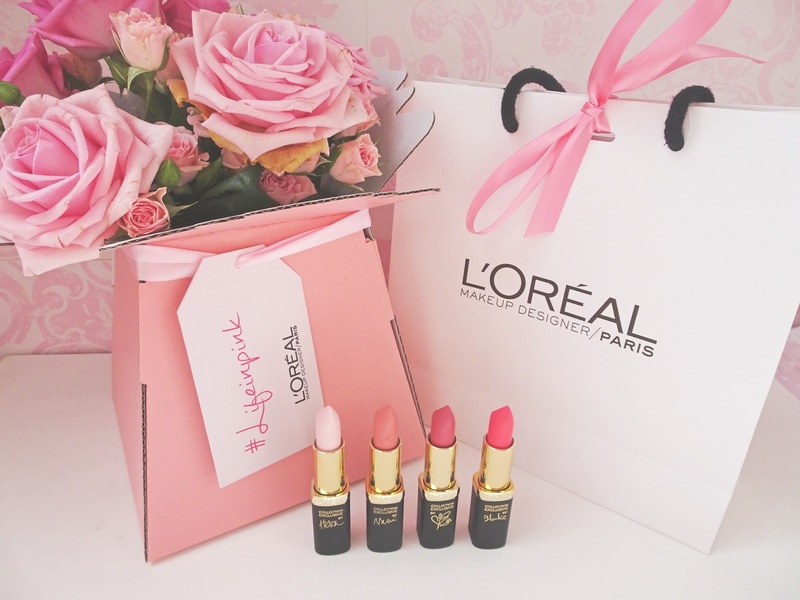 L'oreal always have the cutest packaging as well! Cant wait to buy some of them! Loving the campaign as well! I love your blog as much as I love those colours. Beautifulll! Absolutely love your pictures. Your videos are also a lovely breath of fresh air! Omg this collection looks so so good! But is not in Czech Republic yet. Freddy, you have beautiful photos, videos, and you are incredibly beautiful too! I love your videos and posts. Great job!